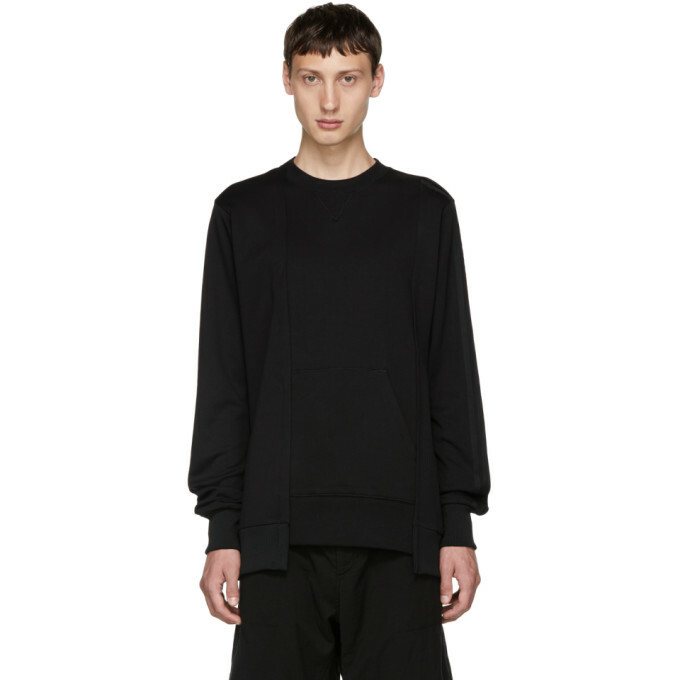 Long sleeve French terry sweatshirt in ‘core’ black. Panelled construction and rib knit trim throughout. Kangaroo pocket featuring hidden zippered pocket at front. Signature adidas stripes at sleeve. Embroidered logo patch at back. Tonal stitching.